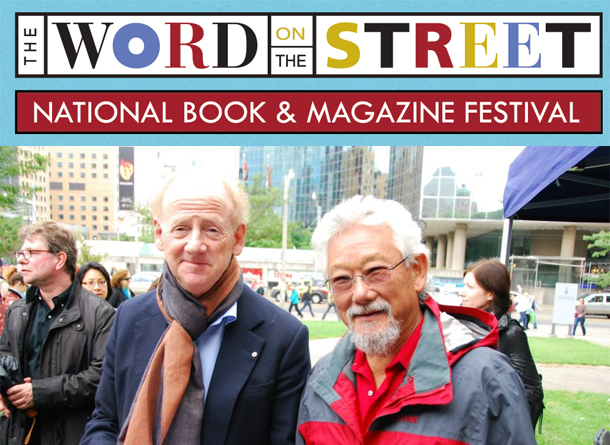 Word on the Street takes place this Sunday at Queen’s Park Circle from 11am to 6pm. Among the featured authors are Linwood Barclay, Joy Fielding and Meg Tilly (yes, that Meg Tilly!). It’s an opportunity to get your fall reading list kick started, attend a writing workshop and hear Toronto Book Award nominees read from their works, plus lots more. The event is always a lot of fun and nice to see everything that’s happening in the Canadian literature scene!